The Meridian Chesser is just one example of hundreds of bedroom options available. 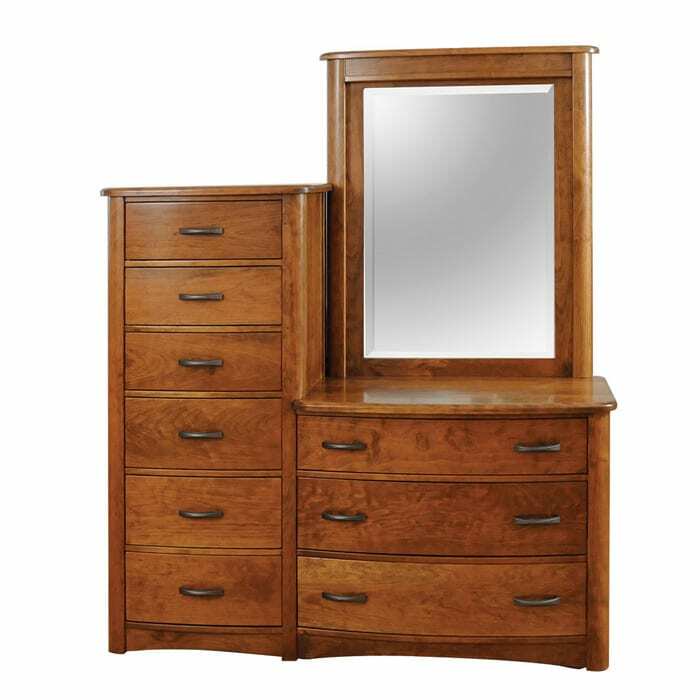 All our Amish-made dressers, chests, and nightstands are heirloom-quality and solid-wood that is handcrafted by highly skilled woodworkers. They are available in a variety of styles and timeless designs that match any decor. Dove-tail jointed drawers with extremely smooth extended glides give you full access and added strength for convenient storage capability. You customize the look with options including your choice of wood, finish and hardware. Each piece of furniture is exclusively built just for you using the highest quality materials to last for generations.